Dennis Lakusta is an artist, musician and writer of Métis status, and brings his First Nations’ heritage into his work in spirit, vision and context. 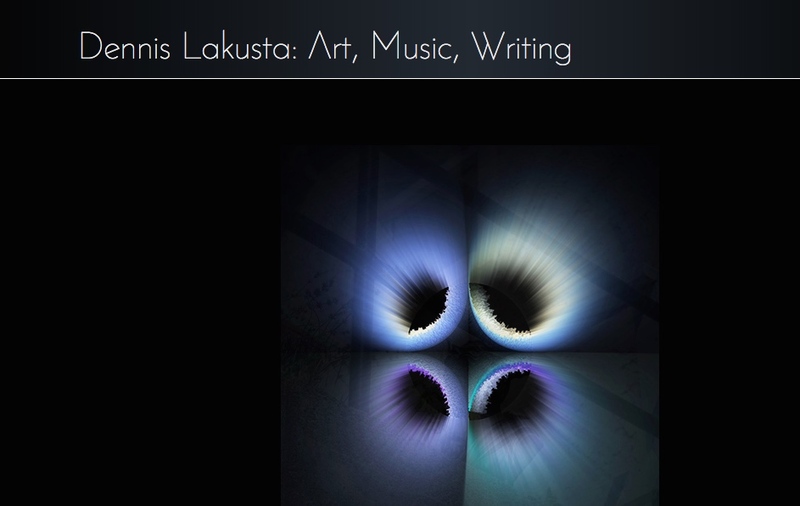 These are three connected sites that feature his art, music and writing. 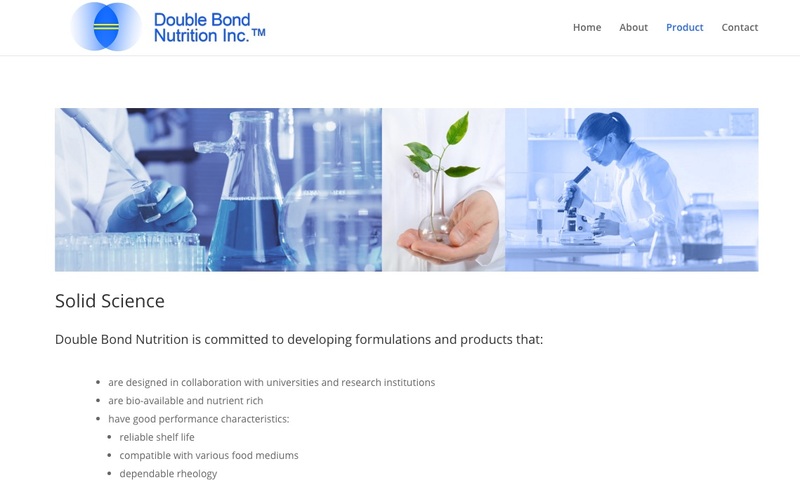 Double Bond Nutrition is a research and development company for high-nutrition food products. They are currently developing and patenting formulas for the manufacturing industry in the market of high-quality, optimal nutrition. WordPaint Website showcases excerpts of Prem Rawat’s message of Peace, delivered at world-wide events over the last two decades. 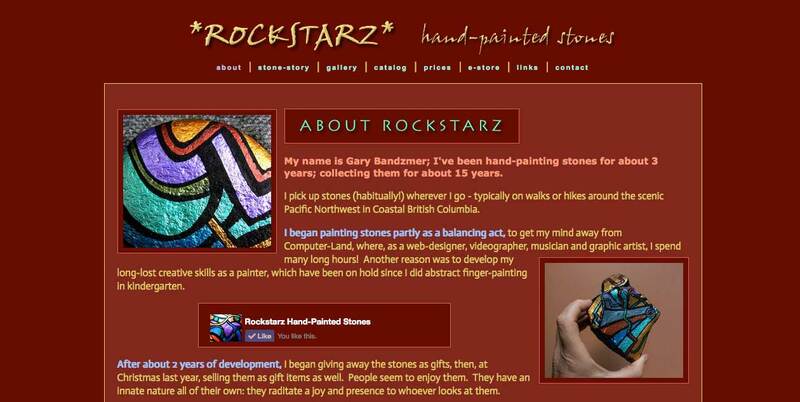 RockStars’ Hand-Painted Stones are the creation of Vancouver-based Artist, Videographer and Web-Designer, Gary Bandzmer. RealMedicalHelp.com promotes and distributes The Encyclopedia of Medical Breakthroughs, a reference book of Alternative Medical Treatments. Innate Foundation is the focal point of Carolyn Jackson’s work in the world of Energy Healing, or more specifically, the ancient art of Reiki. Horsepower Herbs creates specialized high-quality supplements for hobby and performance horses. BodyMechanics Wellness Foundation supports community-based and non-profit ventures which enhance the health of community groups and employee groups through exercise and nutritional awareness. Muirfield Gardens is a lovely, 76-unit Strata building in South Surrey, BC. This Strata website, on a remodeled WordPress Framework, is a Strata Owner’s login site for Strata members to access documentation, contact info and a current events Calendar. WithZest is the original website conceptualized for public speaker, author, healer and artist, Alannah Jantzen. This site has been revamped and our version is archived.